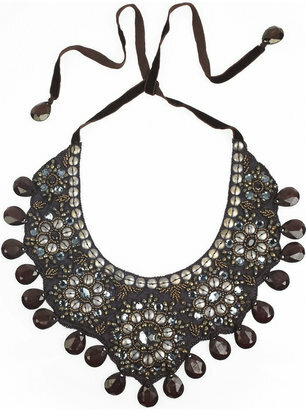 Spice up your Holiday ensemble with a collar necklace. This newfound adornment is a happy medium between the old school choker and the classic necklace. It takes form in a wide array of materials ranging from leather and studs to sparkly gems. These necklaces give off a modern Cleopatra aura and make for the perfect statement piece. I wonder if it'll grant me her magical man powers as well . . .